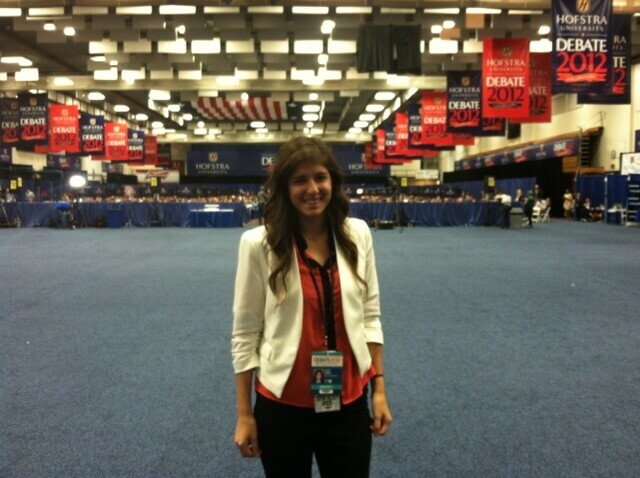 I woke up at 4 a.m. on Oct. 16 for the most exhilarating day of my life. 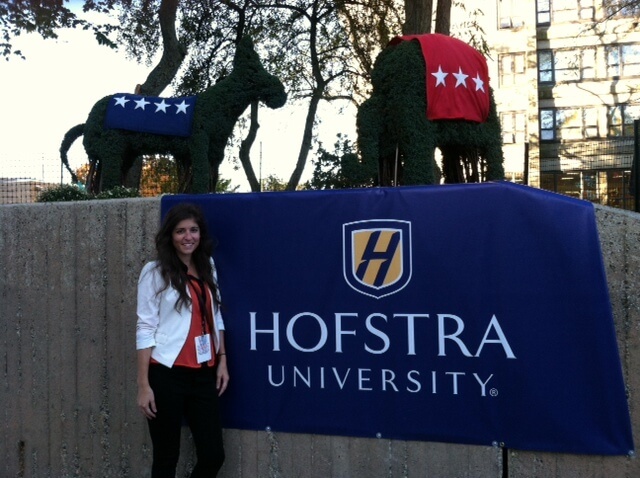 I was a member of the press for the second presidential debate at Hofstra University. My campus was packed with protestors, politicians, reporters and students waiting for their 15 minutes of fame for 24 hours-and I loved every second of it. News 12 interviewed a group of students in the media center. 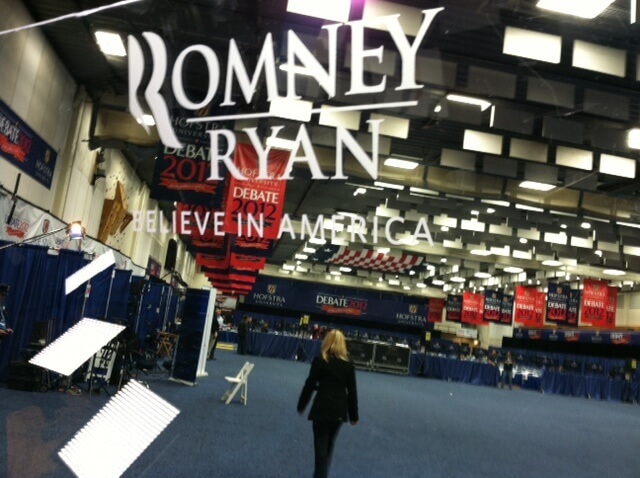 The view from the Romney corner of the media center. 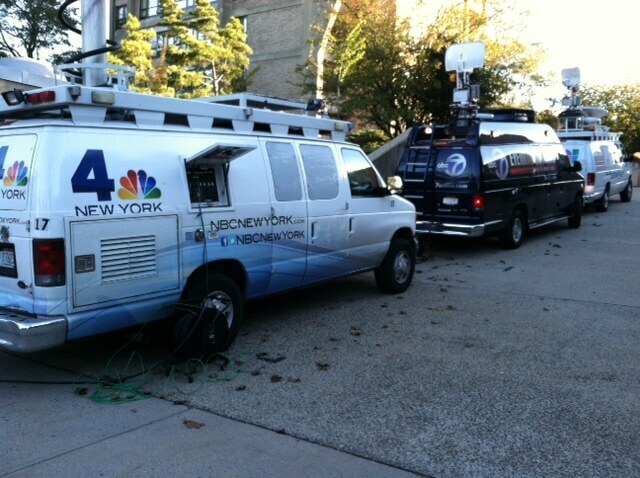 News trucks were lined up all over Hofstra's campus. Students got interviewed from The Couch on CBS NY in the Student Center. 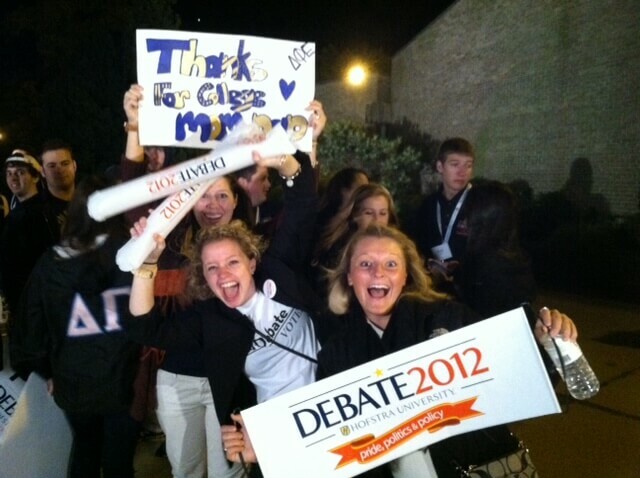 Early risers got a chance to be on network morning broadcasts. 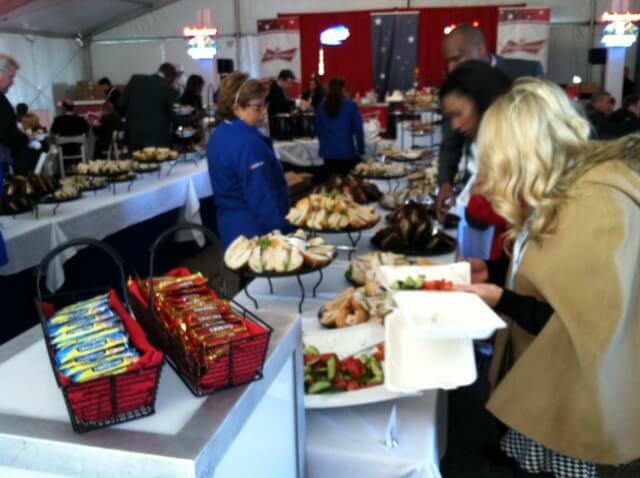 The food tent for press was stocked with goodies. 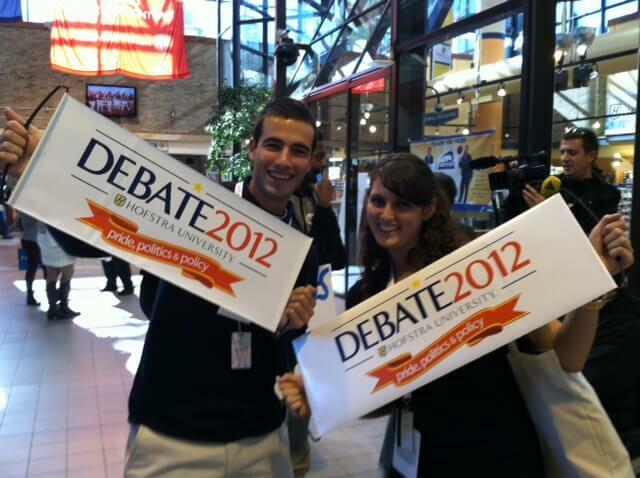 Students were given free debate swag, including these signs. 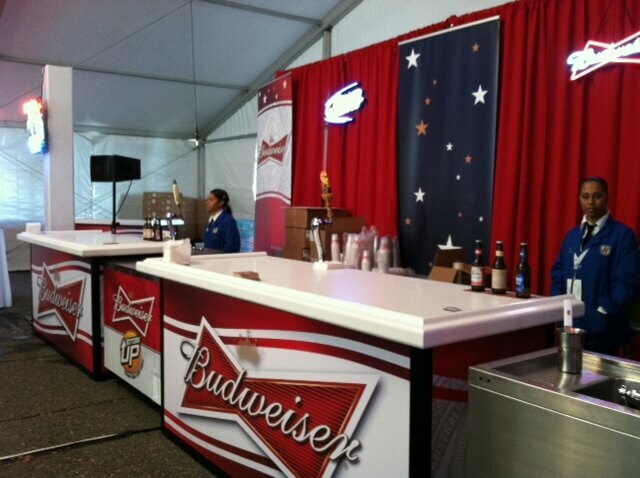 Free beer in the press tent sponsored by Budweiser. This Insider reporter needed a little boost for her segment. 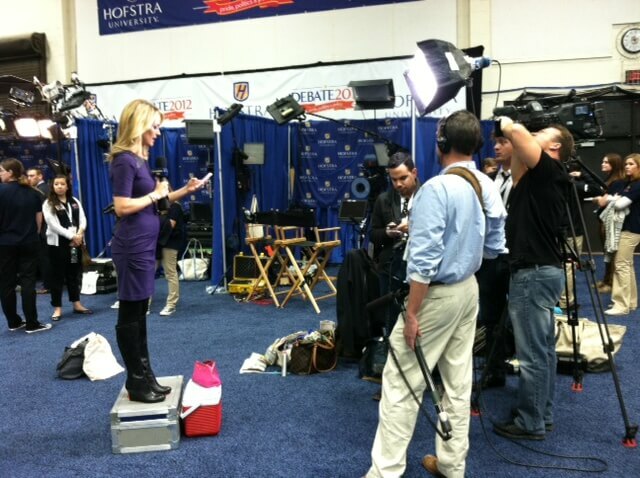 Fox News' Megyn Kelly gets ready for her close up. 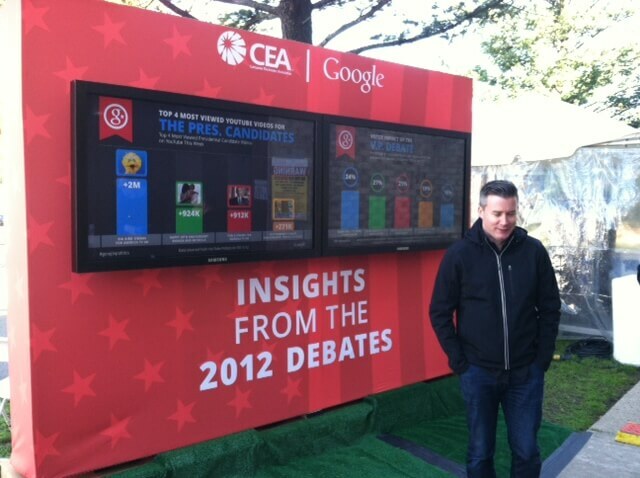 Google had an interactive wall on display with analysis of the most searched content related to the debate. 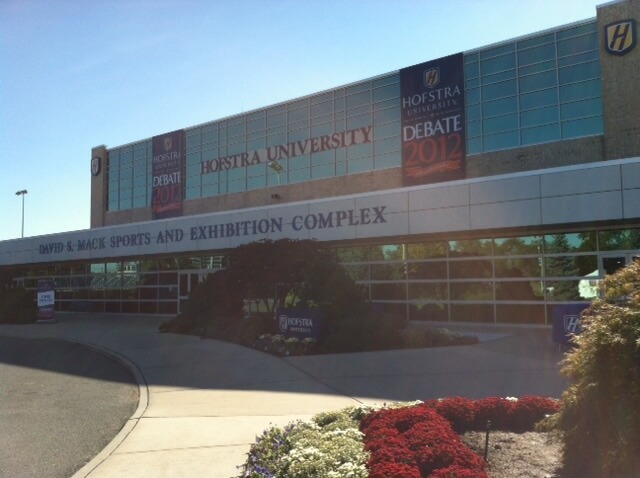 MSNBC did a live broadcast from Hofstra's campus. Students were given the chance to be in the audience. 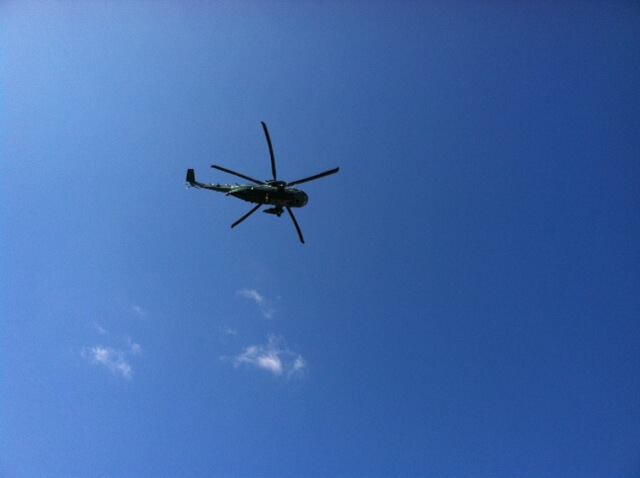 Marine One landing on Hofstra's campus. The eagle has landed. 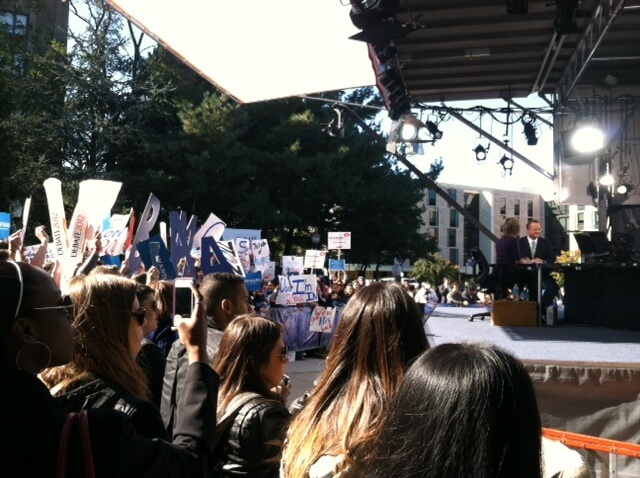 Students made creative signs for a chance to be on television. 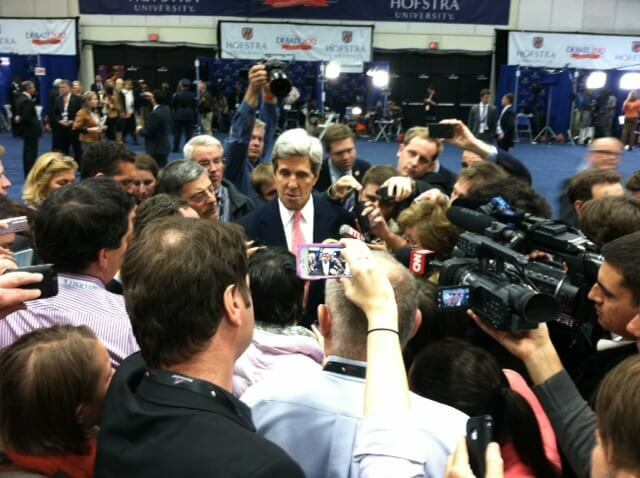 John Kerry was surrounded by reporters the second he stepped onto the media center floor. 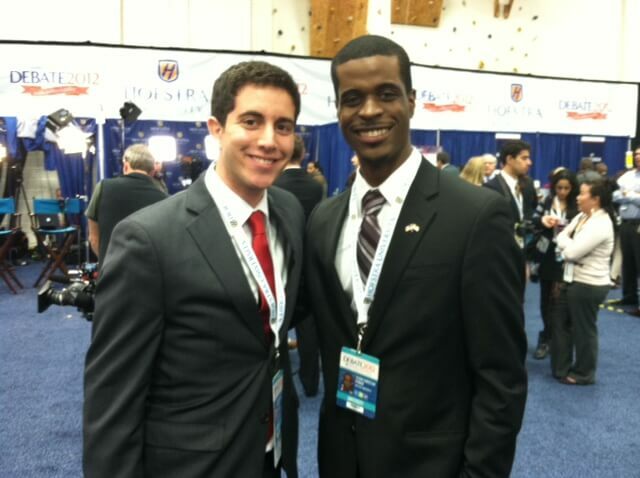 It's Romney and Obama! 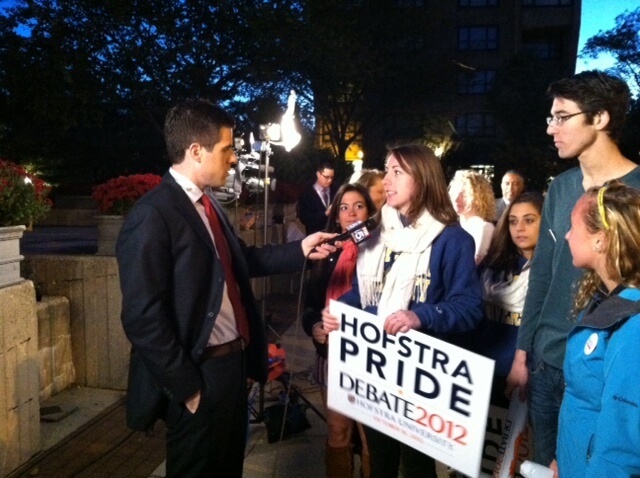 Hofstra students got the chance to be stand-ins for the candidates while ABC tested lighting for the debate. 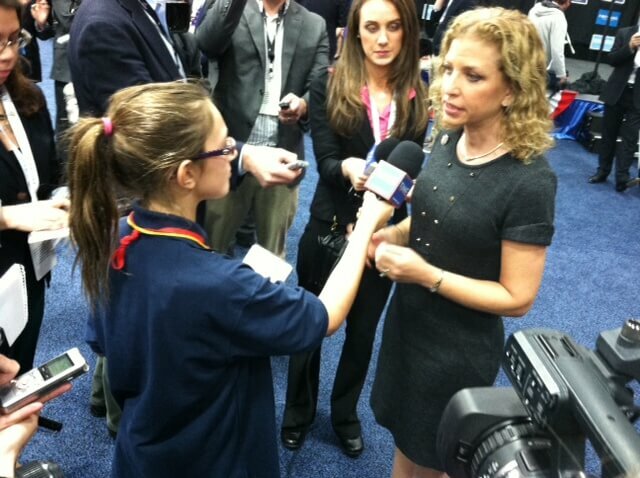 An 11-year-old reporter from Time for Kids magazine was the youngest person in the media center. 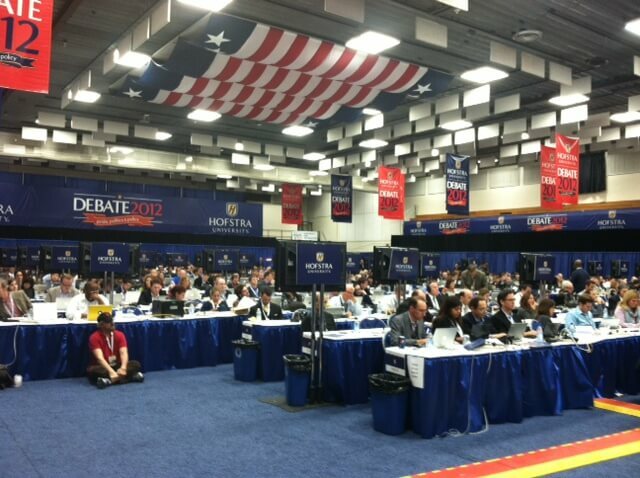 The media center had over 3,000 journalists from all over the world watching the debate. 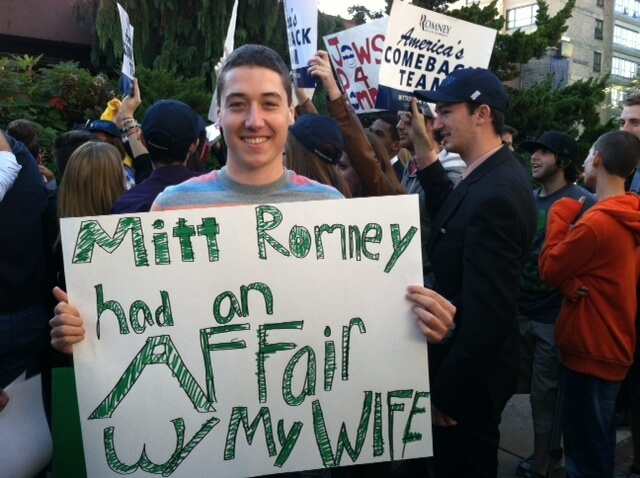 ….And I was one of them. 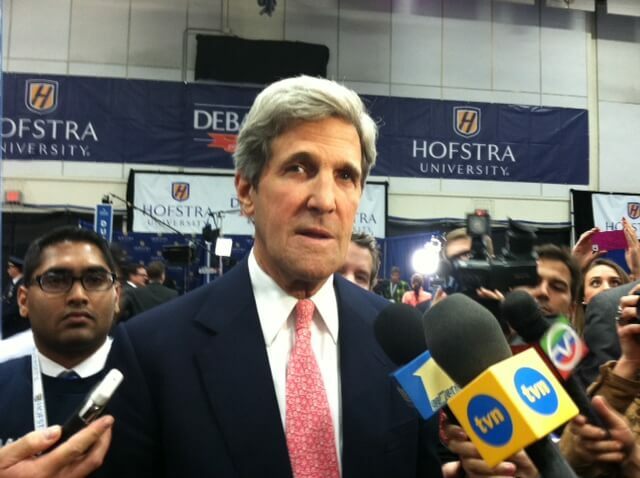 I stalked John Kerry for a chance to get up close and personal for an interview. I should have brought a helmet, those reporters can push. 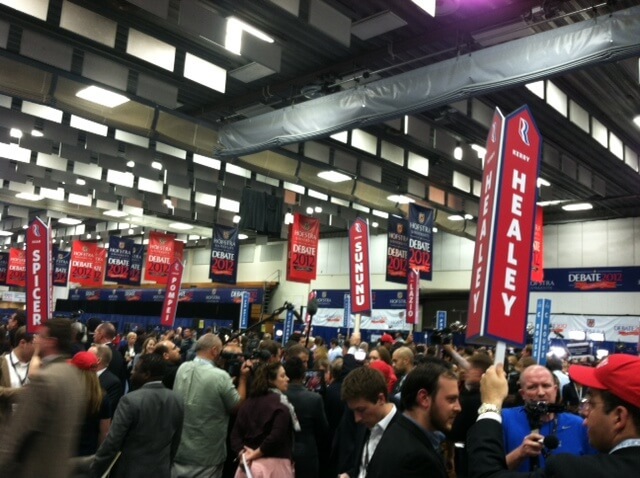 Spin Alley after the debate was a crowded scene of campaign advisors, politicians and journalists from across the globe.